After many meals of boeuf bourguignon, Singapore ice cream, perfect poached apple pies, eels in sauce verte and spaghetti au gratin, Barry felt “in Miss Toklas’s apartment the food always fitted into the surroundings and the company. In its preparation, she was always painstakingly finicky about every detail.” Perhaps it was because she felt, “If you want to be a good cook, you should go at it as a daily pleasure. You should never economize in the kitchen. Once the menu is established, the materials should be the very best.” (I found this essay in a great book called Remembrance of Things Paris: Sixty Years of Writing from Gourmet ). It is interesting to triangulate other's recollections of Alice and her own accounts of her life. Her love of food and entertaining and the pleasures shared at her table come through all of them like a dinner plate moon on an India ink night –– it was who she was. And what of her glorious food? In The Alice B. Toklas Cook Book, inspiration for it came from unlikely sources –– like cars with names. In the chapter entitled “ Food to which Aunt Pauline and Lady Godiva led us” we discover Aunt Pauline was a Model T Ford that was driven by Stein during WWI for the American Fund for French Wounded. It would only go 30 miles an hour so they were always late, even for rare well-provisioned lunches like the one in Saulieu with Panade Veloutée (a bread soup) and Peches Flambées (flaming peaches) or the one in Lyon at La Mére Fillioux where they had fish with a butter sauce, hearts of artichokes with truffled foie gras, steamed capon with quenelle (a kind of poached meat dumpling) and Tarte Louise (an orange tart). It was remarkably fine dining considering what war was doing to the French table. Even the hard work of stuffing a depot with war materials led to a great Catalan table for them to dine at after their labors. After WWI, Stein retired Pauline and opted for a spare, stripped down vehicle christened Lady Godiva with which she and Toklas could take field trips outside of Paris to country inns and restaurants all over France. They toured Chartres, the Loire Valley, Cote d’ Azure and Rhone Valley and ate chicken and roast beef picnics with strawberry filled cream puffs, salmon with hollandaise, a Måcon cake with layers of mocha, kirsch and pistachio, perch with fennel, hen à la Provençale. They returned a few times a month to Marseilles for bouillabaisse. Lady Godiva was finally retired after they found their favorite restaurant (belonging to a Madame Bourgeois in Priay), and finagled a lease on their fairytale country house in Bilignin (this involved getting the current military-man tenant promoted and transferred but they were so in love with the place at first sight they pulled it off). 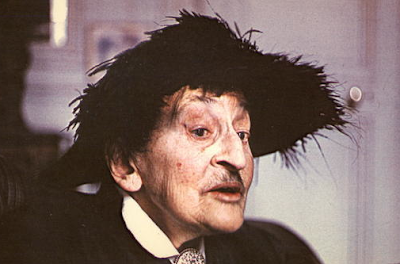 But it is what Toklas prepared for Stein and their friends that resonates for us all these years later. 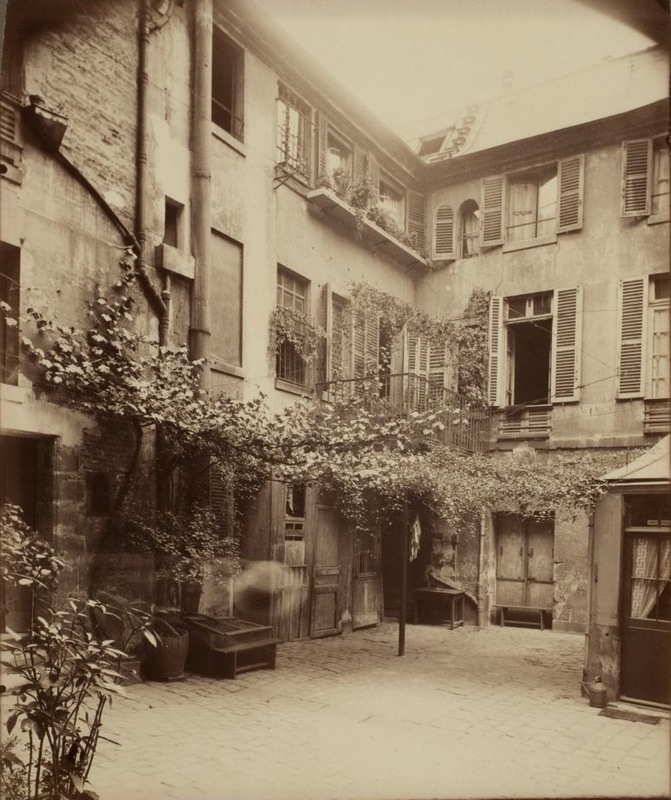 Jonathan Gold (in Remembrance of Things Paris) said “We all want to experience the Paris of Hemingway, of Picasso, of Baudelaire; we want to dine in Atget photographs, to sup on meals that Alice B. Toklas might have approved of, that Mére Poulard might have cooked.” I can’t agree more. The recipes are basted with greatness. I could cook from this book for ages without getting bored. 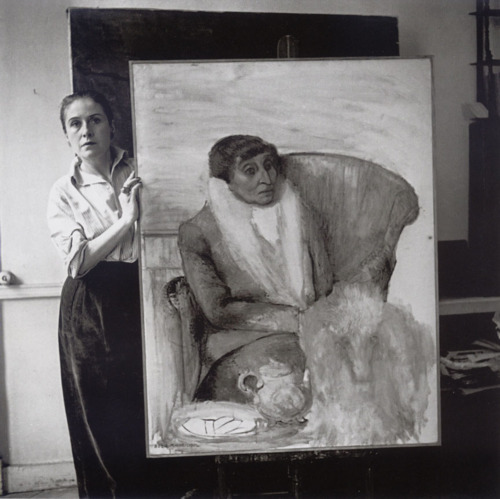 You can have a Midnight in Paris moment and imagine all her extraordinary friends around a table with each mouthful you take, enjoying Toklas's art, and it was art, albeit an evanescent one. 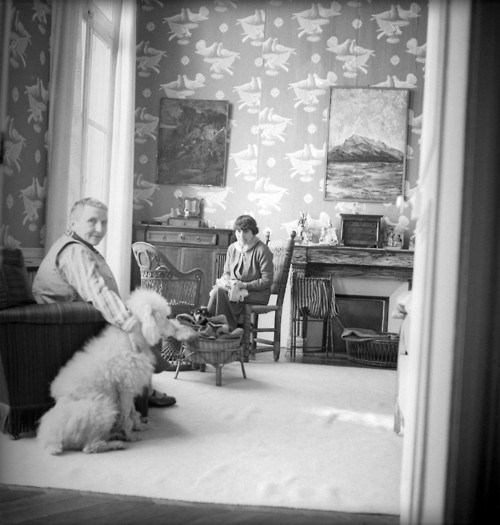 Toklas art was the art of the table and entertaining. So why not share a favorite dish of hers –– an artist's dish. 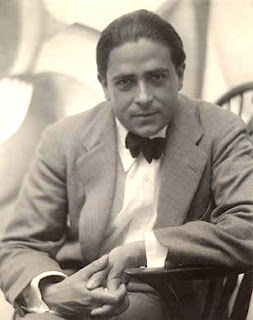 Alice said “The only painter who ever gave me a recipe was Francis Picabia and though it is only a dish of eggs it merits the name of its creator.” Pay attention to the recipe. Yes, that much butter. Yes, that long to make them. Yes they are the most amazing eggs you will ever have, but I couldn't stop there. Toklas and Stein had many cooks. Many were not terribly good, others were great but extremely idiosyncratic and unspeakably unreliable. One of these later types was named Jean who hailed from Martinique. Her “cocotte” smile was endearing, as was her unorthodox way with eggs. The dish that caught my eye was her Poached Eggs à la Sultane. Placing poached eggs atop puff pastry shells is a fitting pedestal for beautiful eggs from pasture raised chickens. Knowing Alice, she would have insisted on the finest egg. The delicate pistachio sauce is something else. It is terribly elegant with a style that you don't taste very often –– subtle and delicate with the barest suspicion of pistachio. May I say the sauce is great the following day and would be good on chicken or even a vegetable like cauliflower. It's a great sauce. *Just a tip, cooking the eggs over very very low heat is the key -- use the low heat burner set just above its lowest setting. I used a small heavy enamel pan for the mixture. I buttered the pan and added the eggs, then added the butter in end-of-thumb size pieces and added more as each dissolved. The mix will not change until the last 8-10 minutes. Then it will begin to look like scrambled eggs. You will see them come together. Remove from the heat when they do and serve immediately. They are worth the effort –– wicked rich, baying at the moon, bug-eyed loony great eggs. Be sure to dry the eggs off (put them on paper towels for a moment before gently putting them on the puff pastry base). When making the pistachio, do add the drops of water as recommended. Putting the pistachios in boiling water softens the nuts and makes it easier to butter them in the mortar. I pushed them through a fine strainer to get a butter consistency that is necessary for the dish –– you don't want graininess in an elegant sauce. If you have pistachio butter, I would say use about 3 tablespoons for this dish instead of going through the steps to make it from scratch but make sure it is smooth–– you still may have to strain it. I don't know what I loved more, looking at the wonderful old photos or fantasizing about those buttery rich eggs! I loved that about Woody Allen's Midnight in Paris..seeing the women..the parties..Well I just loved the movie. Rich post..rich photos..Yours too! Earthy rich. Wow what a post with two interesting and intriguing egg dishes. I love making scrambled eggs with butter! I have been doing this for about 20 years. awesome anyway. Soft spongy and OH! so good. Thank you for sharing both recipes. I'll try the scrambled with the extra butter. Will definitely do the second! Lord, they were an unattractive pair. But I've read so much about them both, I'm fascinated. It's fascinating to read the account of others re the two of them. So many other writers were in their circle and have written about them. You see them from all angles. The one photo of them with all the snake-like gargoyles...wonder if that was in Florence? Saw so many things like that in Italy, but I remember one grotto in Florence I adored. What I had never heard about was this particular cookbook. Cooking yes, but not the cookbook. I wonder how it sold, as she wasn't wealthy. Think also it was quite sad to read about the poverty of her last years. At any rate, the scrambled eggs look divine. Could I bring myself to incorporate that much butter? Yowee. (My father scarfed down tons of butter all his life and lived to 96.) Love the idea of the pistachio butter though. Great post, great fun to read and super photos, Deana. MY GOODNESS, that is a rich concoction of eggs and butter but why the heck NOT!!! That has got to be so delicious with a hunk of bread and a hot beverage, on a cold morning. The taste of these dishes has got to be heightened just by the history behind their discovery and only YOU my dear, can dish it up so beautifully! Wonderful post. What struck me most, was how different most of their food was from today's gourmet offerings. I wonder if Stein and Toklas would look on today's gourmet offerings and appreciate them as much as they did the dishes of their own time. Likewise what will "gourmet" mean in 100 years and would any of us recognize and appreciate it. . .
Love pistachio butter - have encountered it in food of the Caucasus, Western Asia (Iran) and Central Asia. Persians also use pistachios is their own egg dishes (kukus)with delicious results. Will try the early 20th French gourmet version of the pistachio butter eggs soonest! What interesting reading and the photos are amazing! I can see what a little goes a long way with those eggs made with butter. They must taste exquisite, though. That's butter sauce, held together with a little egg. Why not just omit the egg altogether? Or maybe just show the pan an egg. My arteries clogged reading that one egg recipe!!! But worth the triple bypass I have no doubt. Fascinating stuff as always. i can't wait to try the eggs. they sound divine! Lovely post on this blog. i love it. The "gargoyles-like" setting of Gertrude and Alice's double portrait by their friend Cecil Beaton is known as the Palais Idéal du Facteur Cheval, a monument of outsider art avant la lettre. 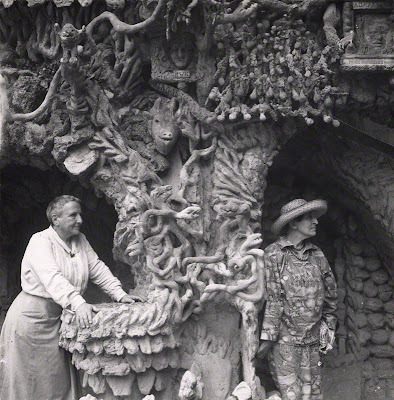 Cheval was a French postman who spent 33 years building this functionless pile of proto-surrealist decorative elements, beginning in 1879. 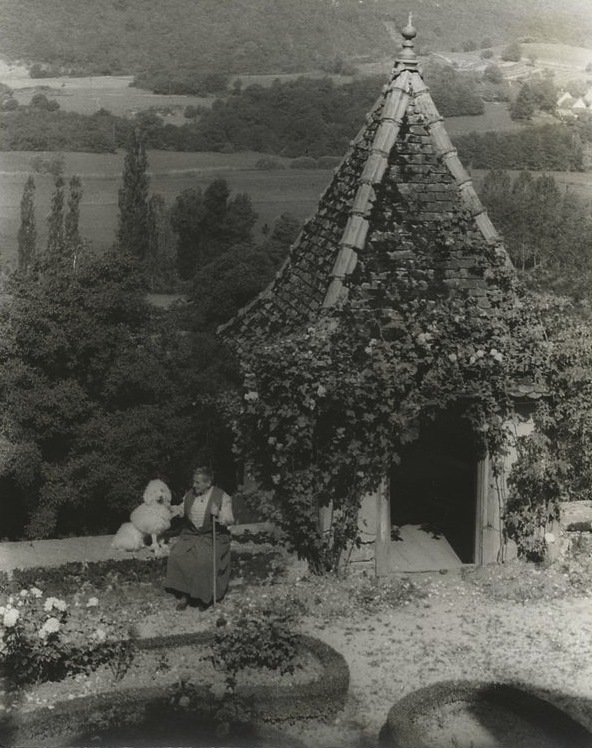 It has been preserved in remarkably good condition - perhaps owing to French Minister of Culture André Malraux's blessing - and can be visited in the town of Hauterives, in the Drôme, which is not terribly far from Getrude and Alice's summer residence in Bilignin.